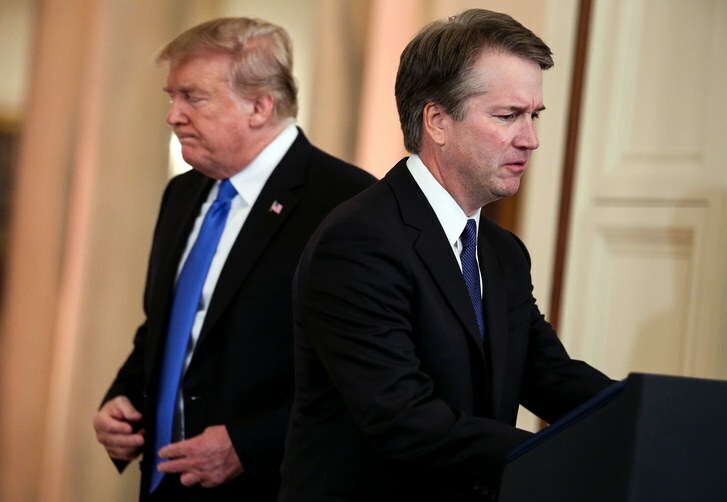 Having offered admittedly muted praise for Judge Brett Kavanaugh’s nomination to the U.S. Supreme Court, I now want to challenge an assertion he has made about whether presidents can be indicted. He has changed his mind on that one. Kavanaugh once worked for Kenneth Starr while Starr was investigating President Clinton, who eventually got impeached for lying to a grand jury and for — that’s right — obstruction of justice. Kavanaugh was up to his armpits in assisting the counsel’s task of finding criminality in a president’s behavior. Then he switched gears. Kavanaugh has since written that presidents have too much to do, too much on their plate to be distracted by potentially criminal investigations. Let me think. Is he providing cover for, oh, the guy who nominated him to the Supreme Court? Of course presidents can be investigated. They aren’t above the law. They must be held to the same standard as their constituents, which is the entire country. President Clinton was able to perform his presidential duties while he was under investigation and, indeed, while he was being impeached by the House of Representatives and tried by the Senate. The same is true for President Nixon, who was under investigation for myriad offenses relating to Watergate. The House Judiciary Committee passed articles of impeachment and then the president resigned. Was he able to do his job while all of this was occurring? Of course he was! My strong hunch is that the Senate Judiciary Committee that will consider Judge Kavanaugh’s nomination will ask him directly and pointedly about what he thought while working for Kenneth Starr and what he thinks these days now that Donald Trump wants him to serve on the highest court in the land. I hope someone on the panel asks him: What made you change your mind, Judge?